Business groups have welcomed measures aimed at boosting exports, small businesses and the property sector, but have criticised the VAT increase. Retailers reacted angrily to the announcement that there would be no legislation on upward-only rent reviews, but property groups welcomed the news. Employers' group IBEC says the Government has relied too heavily on increasing tax rather than cutting spending in Budget 2012. While it welcomed measures aimed at supporting research, financial services and the property sector, it said these were small when compared to what it called the "very negative effect" of the €90m increase in employer PRSI charges and the reduction in the redundancy rebate announced yesterday. "Budget 2012 will be one of the most inflationary budget in decades, adding approximately 1.5% to the inflation rate next year and will undermine Ireland's efforts to regain competitiveness lost during the boom years," said director general Danny McCoy. "Abolishing employer PRSI relief on employee pensions will increase labour costs and is a further significant cost on employment, following the move to reduce the redundancy rebate yesterday," he added. Small business group ISME described the Budget as "smoke and mirrors", saying it would do nothing to stimulate business or create jobs. ISME welcomed the corporation tax exemption extension and the R&D tax credit increase, but said increases in motor and carbon tax would increase business costs. It also described the VAT rise as "short-sighted". The Small Firms Association also criticised the VAT rise, and also welcomed the R&D and corporation tax break measures. Chairman Ian Martin also criticised "the lost opportunity" the Government had to encourage more unemployed people to get off the Live Register by becoming self-employed or establishing small businesses. Mr Martin said such people could have been allowed to have the same social welfare blanket as employees have by allowing them to give a voluntary PRSI contribution. The Construction Industry Federation welcomed the cut in commercial property stamp duty and measures on mortgage relief. It also welcomed the removal of uncertainty on upward-only rent reviews, saying these measures would help stabilise activity in the property sector. But CIF director general Tom Parlon said the Government had missed an opportunity to counter the growing black economy in construction services, particularly in domestic repair and maintenance and one-off house building. 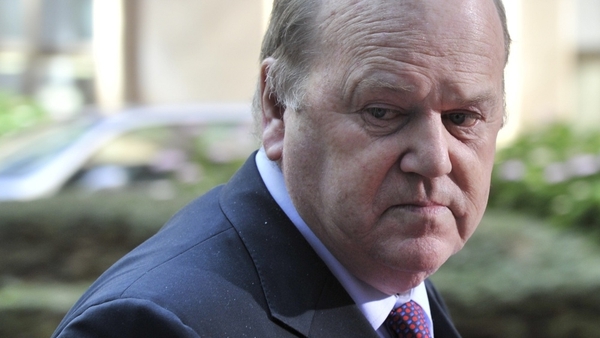 Retail Ireland, the IBEC group that represents the retail sector, criticised Michael Noonan's decision to increase VAT and said the Government should review the impact of the rise on tax revenues and reverse the increase if it is not working. Retail Ireland also said the Government's decision to abandon changes to upward-only rent reviews would cost thousands of retail jobs. 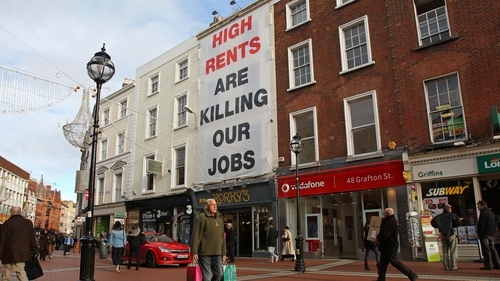 Another retail group, Retail Excellence Ireland, also said the Government's decision to abandon changes to upward-only rent reviews would cost thousands of retail jobs. REI chief David Fitzsimons accused Ministers Alan Shatter and Michael Noonan of showing "utter contempt" for Irish retailers and retail jobs. He warned that today's decision was likely to lead to further job losses in the sector. But property companies CBRE and Savills Ireland welcomed the announcement on rents, saying it ended uncertainty in the commercial property sector. They also welcomed the cut in stamp duty for commercial property. The Institute of Professional Auctioneers and Valuers (IPAV) welcomed the property measures, but warned that they would work only if they were accompanied by the freeing up of capital by the lending institutions. The Irish Exporters Association welcomed measures aimed at boosting exports, with chief executive John Whelan describing this as "one of the most export promotional budgets we have seen for decades", adding that it would go a long way to helping exporters develop new products and sell services into rapidly growing markets. The American Chamber of Commerce Ireland, which represents 600 US companies here, welcomed decisions on the Special Assignment Relief Programme (SARP). The chair of its tax group, Anna Scally, said proposed changes to the SARP regime would boost Ireland’s ability to compete and win investment. Chambers Ireland said the Government had avoided making hard decisions, and called for "quantifiable savings" from the Croke Park agreement as a matter of urgency in 2012. Chief executive Ian Talbot expressed disappointment at the VAT rise, but welcomed the increase in the exemption limit for the universal social charge. The Irish Road Haulage Association has criticised the Budget increase in road fuels. It said the move is taking money from legitimate road users and giving it to criminals involved in laundering diesel. The increase in road fuel will cost the industry hundreds of thousands of euro and the association is warning it could put some companies out of business.